9. We envisage a world in which every country enjoys sustained, inclusive and sustainable economic growth and decent work for all. A world in which consumption and production patterns and use of all natural resources – from air to land, from rivers, lakes and aquifers to oceans and seas - are sustainable. 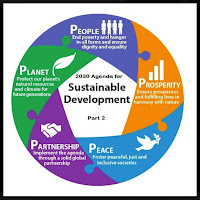 One in which democracy, good governance and the rule of law as well as an enabling environment at national and international levels, are essential for sustainable development, including sustained and inclusive economic growth, social development, environmental protection and the eradication of poverty and hunger. One in which development and the application of technology are climate-sensitive, respect biodiversity and are resilient. One in which humanity lives in harmony with nature and in which wildlife and other living species are protected. 11. We reaffirm the outcomes of all major UN conferences and summits which have laid a solid foundation for sustainable development and have helped to shape the new Agenda. 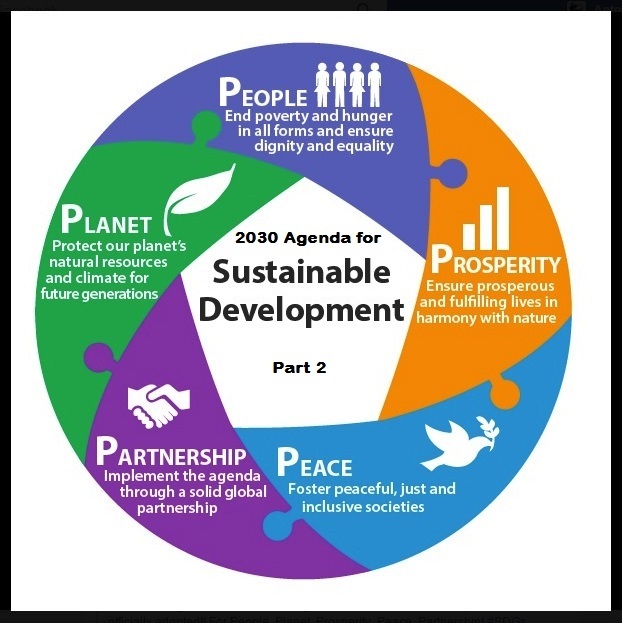 These include the Rio Declaration on Environment and Development; the World Summit on Sustainable Development; the World Summit for Social Development; the Programme of Action of the International Conference on Population and Development, the Beijing Platform for Action; and the United Nations Conference on Sustainable Development ("Rio+ 20"). We also reaffirm the follow-up to these conferences, including the outcomes of the Fourth United Nations Conference on the Least Developed Countries, the Third International Conference on Small Island Developing States; the Second United Nations Conference on Landlocked Developing Countries; and the Third UN World Conference on Disaster Risk Reduction. 18. We are announcing today 17 Sustainable Development Goals with 169 associated targets which are integrated and indivisible. Never before have world leaders pledged common action and endeavour across such a broad and universal policy agenda. We are setting out together on the path towards sustainable development, devoting ourselves collectively to the pursuit of global development and of "win-win" cooperation which can bring huge gains to all countries and all parts of the world. We reaffirm that every State has, and shall freely exercise, full permanent sovereignty over all its wealth, natural resources and economic activity. We will implement the Agenda for the full benefit of all, for today’s generation and for future generations. In doing so, we reaffirm our commitment to international law and emphasize that the Agenda is to be implemented in a manner that is consistent with the rights and obligations of states under international law.